ColourPop: Matte Lipsticks for $6 and under! I’m so excited about this new shopping discovery, that I couldn't wait to share! I recently decided that I really really needed some new fall lipstick colors…and apparently the makeup gods heard my cries because I almost immediately discovered Colourpop.com. This cosmetics site is not only super affordable, but according to the reviews, it also has some great quality products! After finding a coupon (you all know me by now!) and going through ColourPop's instagram, I chose 5 Ultra Matte lip colors and 1 Matte Lippie Stick and quickly placed my order. 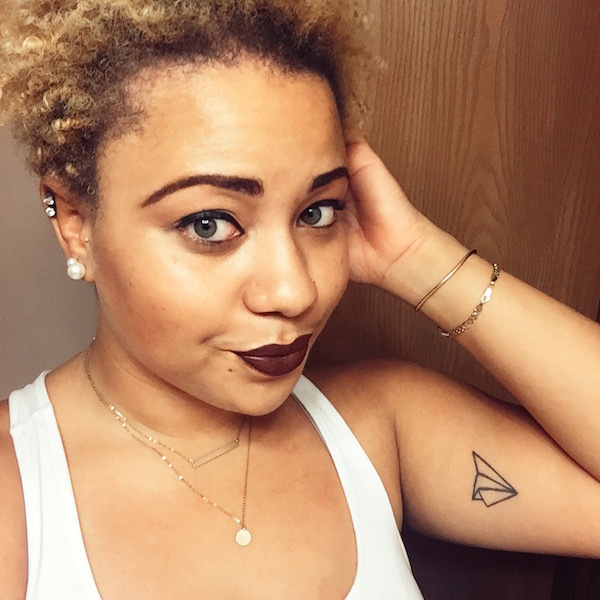 I was super pumped to try out my first brown lipstick, so you can only imagine how fast I ripped open that package when it arrived. All I can say is…..amazing! Check out the colors I chose! 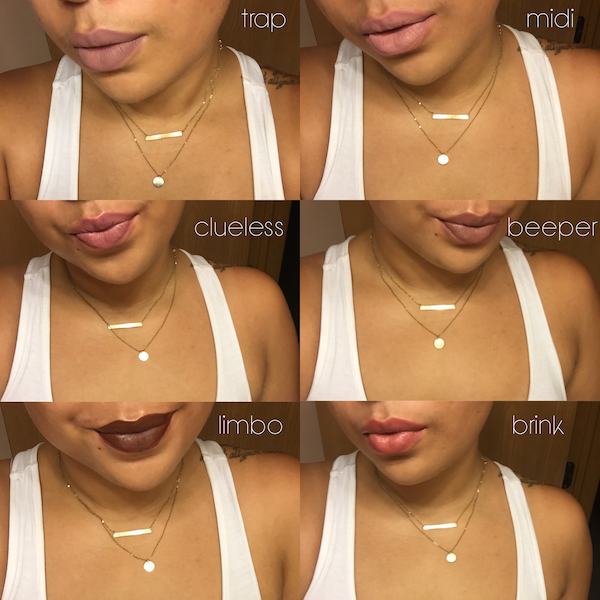 I loved all of the colors, but Limbo, Trap and Beeper have to be my faves. 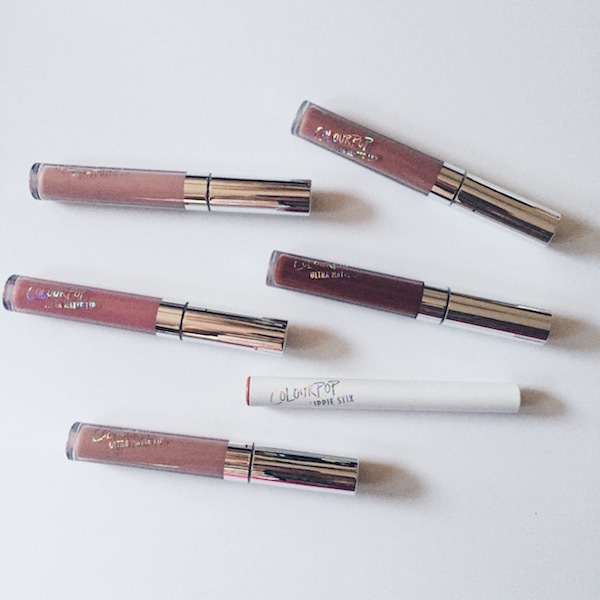 They lippies go on like a gloss and turn matte almost immediately after application. One thing to keep in mind, is that you definitely want to moisturize your lips before applying the ultra matte. If not, I assure that your lips will feel uncomfortably dry and it will be so hard to get it off! I also prefer the ultra matte colors over the regular matte lippie stick. I definitely recommend Colourpop’s lip colors and I can’t wait to order more cosmetics from the site!